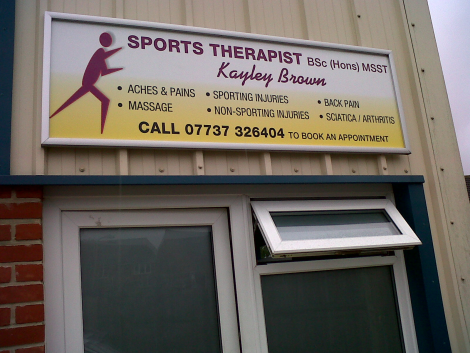 Treatments are now available at Body Bionic Gym by Kaylay Brown BSc (Hons) MSST Sports Therapist. Sporting injuries/ Back pain/ Sciatica/ Muscle tightness/ Muscle strain/ Knee pain/ Ankle pain/ Shoulder pain - Amongst others. - Sports Massage - This involves a deep tissue massage that aims to loosen tightened muscles due to exercise or day-to-day activities. It aims to loosen muscle knots and break down scar tissue produced from an injury. To make an appointment please call 07737 326404 for available times and dates.